This was the fifth song to be released from the Welsh alternative rock band’s debut album ‘Generation Terrorists‘ and in the Richey Edwards-era was probably their most successful song. Even in the more prosperous post ‘Everything Must Go‘ period it is still considered by many to be one of their best and always goes down well when performed live. However, when I saw them play live at Studio Coast in Shin Kiba last year it didn’t feature in the set as I was only there on the second of two nights where they ran through all their singles. In a best songs ever poll by Q Magazine in 2006 this classic anthem came in at number 88. Some of the words were taken from the poem ‘Neon Loneliness’ by guitarist and lyricist Nicky Wire’s brother Patrick Jones who is a poet. One can only assume that the line “…under neon loneliness” refers to the famous neon lights of Tokyo city and so it was felt that the video should also be set in and around the Japanese capital. As one who has never really been so much into music videos I didn’t even know that it was filmed in Japan until a colleague mentioned it last year. The decision to film in Japan was a last minute one so without permits to film in the streets the band and an entirely Japanese crew (with the aid of an interpreter) directed the video guerrilla-style, whereby they had to stay one step ahead of the local police force. The first location to appear is Shibuya Crossing at the Hachiko exit of JR Shibuya station with lead singer James Dean Bradfield singing in the rain amid a sea of umbrellas on Center Gai (below). 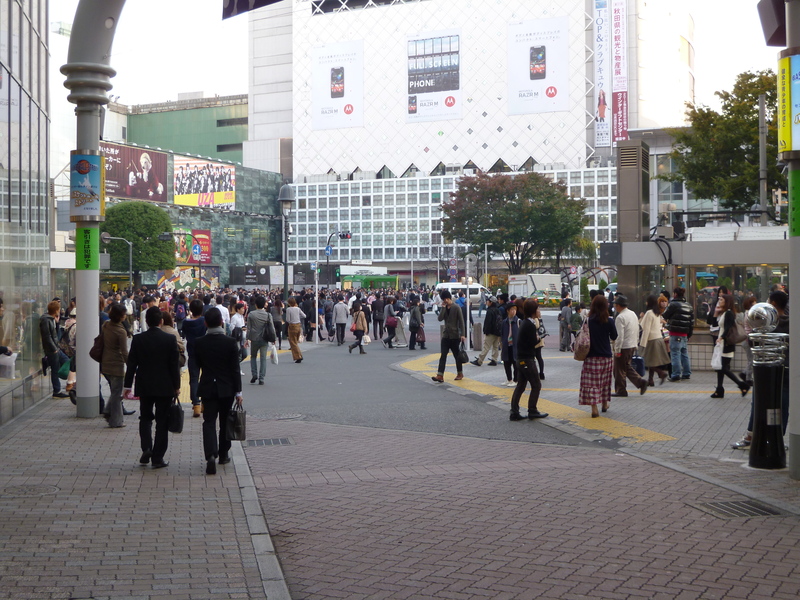 The filming done on this busy shopping street makes up the majority of the video which is interwoven, as is usually done in music video’s, with a few other scenes. On 0:43 minutes we see a brief shot of Tokyo Tower in the background of the band (below) which was captured at Shiba-koen park which is next to Zojoji Temple and in the foreground of the landmark tower. 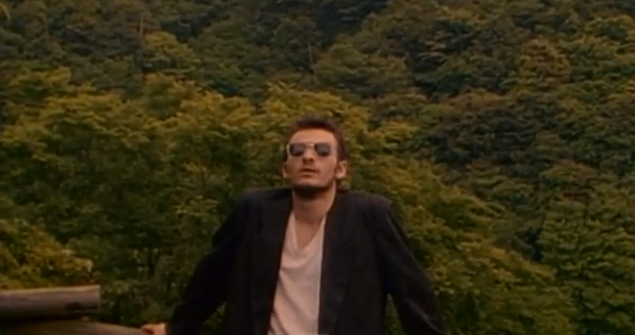 The band are seen in the park towards the very end of the video with the 333m high orange (?) and white tower behind them. 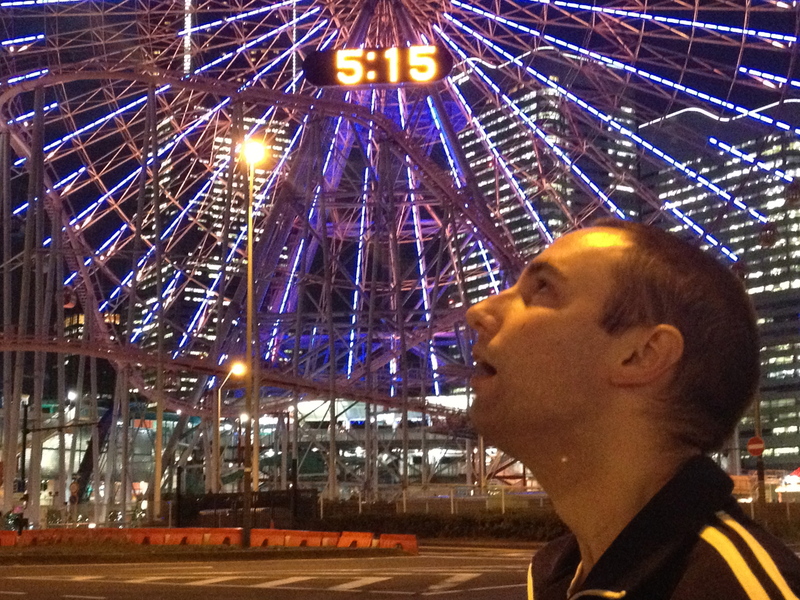 The huge Cosmo Clock 21 is a giant ferris wheel (below) that first appears on 1:36 minutes (and again throughout the five minute video) and this is found at CosmoWorld in Yokohama which is about an hour south-west of Tokyo. It is the world’s largest clock and when it first opened in 1989 it was the world’s tallest ferris wheel. It now stands at 112.5 metres (369 ft) and has 60 passenger cars, each capable of carrying up to eight people. One rotation of the 100-metre (330 ft) diameter wheel takes 15 minutes. As you can see in the screen-grabs filming took place around 7pm and my school manager (and fellow Manics fan) Shinobu and I planned to wait around till the same time but impatience got the better of us. The red bridge (below) with a tortoise on it on 4:09 minutes is Shomyoji Temple in Yokohama which I just couldn’t for the life of me locate when I first published this post but no sooner had I done so and Shinobu recognised it by sheer chance when she went there with her husband. 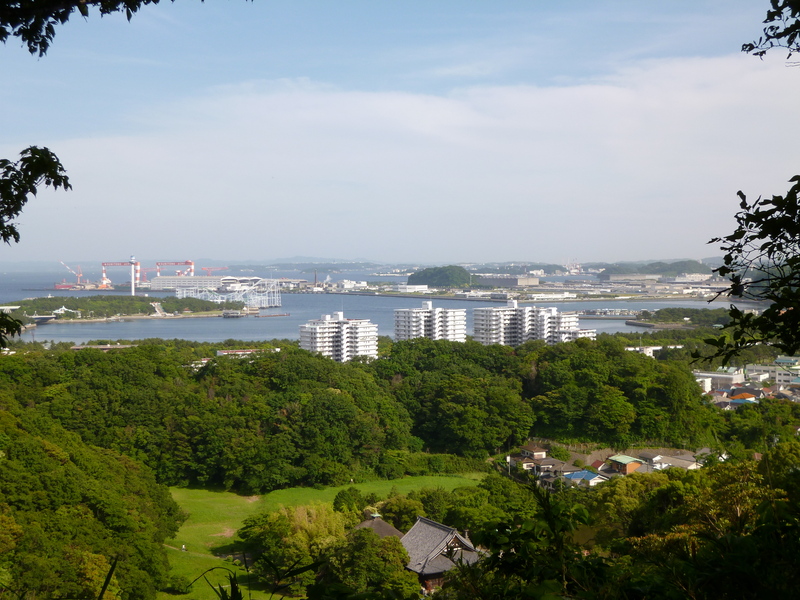 My first guess was that it may be within the beautifully landscaped gardens of Sankei-en in Yokohama but instead it is 10 miles away and a ten minute walk from the East Exit of Kanazawa Bunko station. 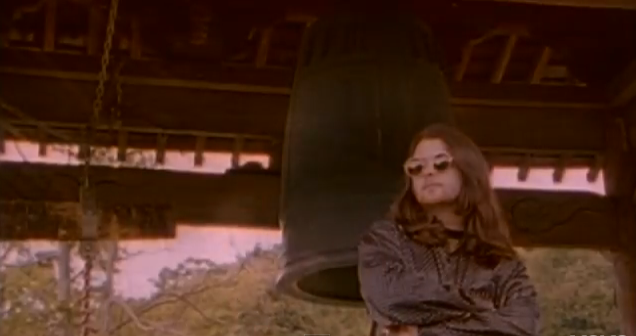 The bell in the background of drummer Sean Moore (below) on 2:43 is a few metres away from the bridge which is a bit faded now but it is 21 years on after all! I should point out that I have grown my hair in the 7-8 months since the Cosmo World pictures! 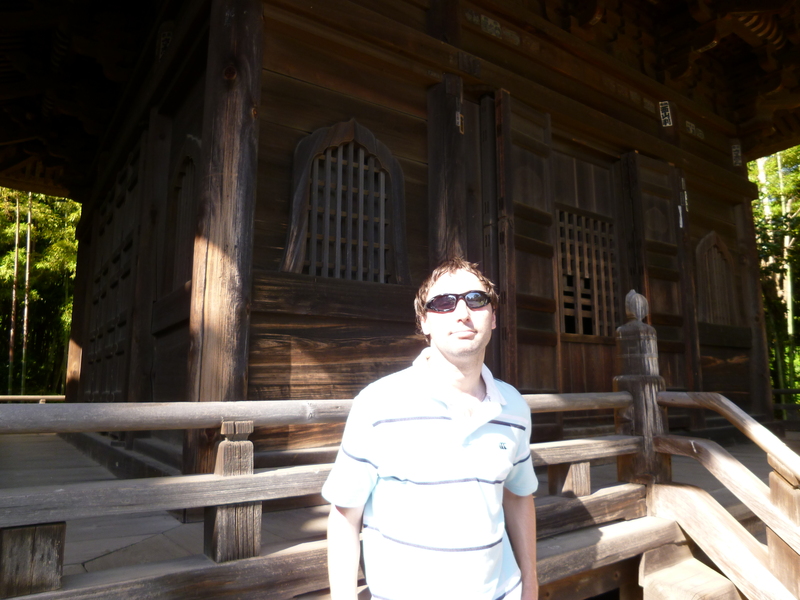 The wooden steps where James is sat below were also filmed at Shomyoji Temple. Originally the only clue I could find online was that it was filmed at a “Yokohoma Temple in the mountains outside the city” but this was in an article already including some glaringly obvious mistakes!! As you exit the bridge you can see the Main Hall and to the right of that is a smaller wooden building and it is this one that featured in the video. We’re not quite finished yet with Shomyoji though as there were a few more shots of James taken up in the mountains (not very high ones!) behind the temple (below) which takes about 7-8 minutes to ascend via steps but the view has changed quite a bit in the two decades which have passed. 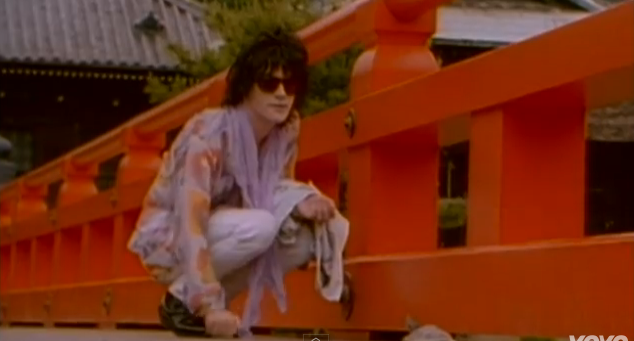 As a huge Manics fan I was very excited to visit this particular area of Yokohama which is pretty much unknown. Details of the temple and how to get there can be seen here. The hotel (below) is, according to commenter Bjorn, the Keikyu EX inn Shinagawa. It’s address is 3-13-3 Takanawa in Minato-ku and it costs from about 15,000 yen per night. This entry was posted in Japan Filming Locations, Music and tagged Center Gai Shibuya, manic street preachers filming locations, motorcycle emptiness video Tokyo, motorcyle emptiness temple, shomyoji temple, where was motorcycle emptiness filmed?, Yokohama Cosmo World. Bookmark the permalink. hi! love msp, love tokyo, love this post! I think the hotel is the Keikyu EX Inn Shinagawa Ekimae (formerly the Pacific Hotel) – if you haven’t heard it from someone else already. Thanks Sharon. No I haven’t been told that by anyone else actually so good to know. Will check out sometime soon and maybe update this entry not that I’ll be able to get the same angle as in the vid! It’s Keikyu EX inn for sure! I stayed one night at the 19th floor. If your interested i still have some pictures of the view. Visiting the places from the video must have been extraordinary. I hope I’ll be able to visit Tokyo one day too! P.S. I stumbled upon your post while writing my own ‘Renoir – The Umbrellas’. As a massive MSP fan living in Leicester I just had to say I love your page, and especially love this post. Saw MSP last Saturday in Edinburgh and they were absolutely amazing. Thanks very much Rita! Glad you had a great time. Just waiting for them to tour Japan again! Hi! Thanks for this post! 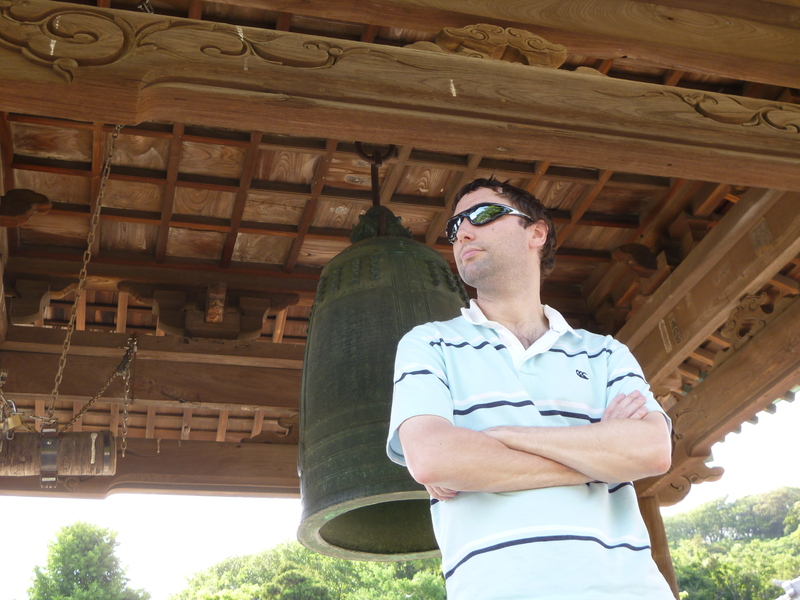 I’m going to visit Shomyoji today and I ran into this while looking for information about the temple. Now I’m extra excited because I’m a huge Manics fan. Shomyoji is beautiful! Seems like the colors are even more faded now (here’s my attempt at location shots, got all the angles wrong lol https://twitter.com/qotka/status/849608201708257281 ). 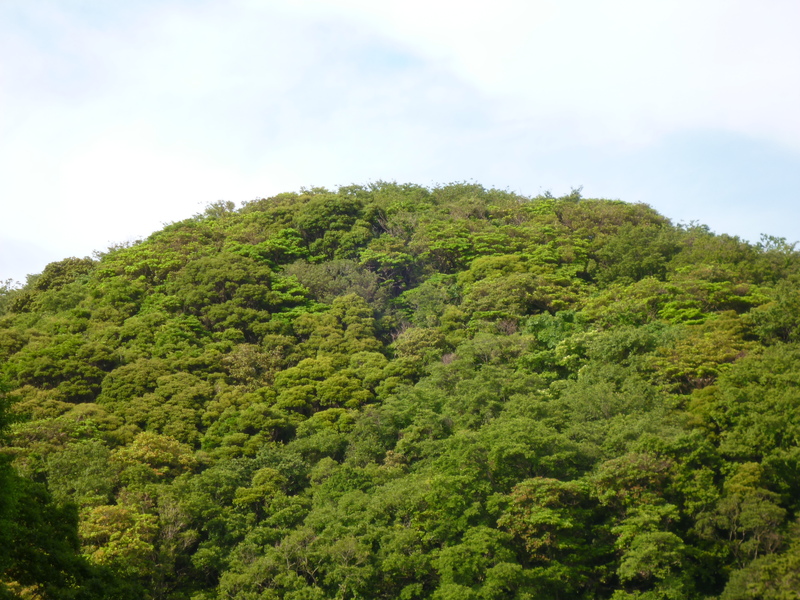 Sakura was in full bloom and the mountain route around the temple is really cool. 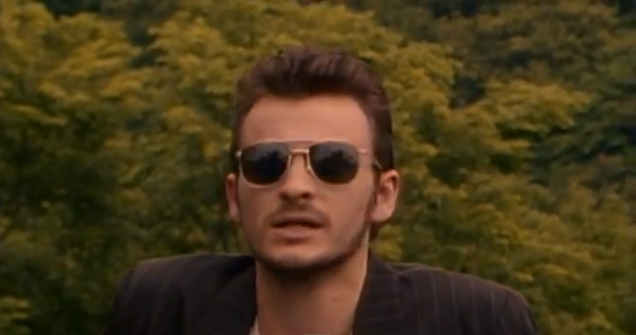 Yeah it’s a nice place beyond the fact that it was in that Manics video! Sakura is always a wonderful added bonus for any place! Your pics are good by the way!